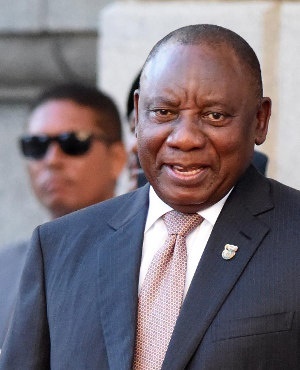 President Cyril Ramaphosa has urged businesses to help curb the country's crippling unemployment by employing more young people. "Youth unemployment is of great concern to me," Ramaphosa said in a Twitter Q/A with young people hosted on his official Twitter page late on Monday, using the hashtag #HolaMatamela. "We are mobilising investments to create jobs and we are urging companies to focus more attention on employing young people and not insist on work experience," he said. Asked by Twitter user Thato_Seele why unemployed graduates should vote for the ANC and when young people will start to see growth and integration of young people in the economy, Ramaphosa replied, "Young people should vote for the ANC because the country has made a big investment [in] them. The return will be when they are able to get jobs - as our economy grows and yields jobs. "Young people are our key priority area and focus when it comes to job creation," he said. Another user, using the Twitter handle @Mackvocate asked Ramaphosa what role young professionals should play in contributing towards the country's inclusive growth path. @Mackvocate also went on to ask what measures government had taken to offer the youth support. Said Ramaphosa, "Young professionals should answer to the #ThumaMina call by seeking out younger people and mentoring them. They should set up structures to empower primary school learners with career guidance and general mentoring. That will be the greatest contribution by young professionals." Ramaphosa was also quizzed by user Nkosinathi Ndaba on why his cabinet was "full of old people". "Don't you believe in the youth?" Nadaba asked. Ramaphosa replied in turn, "I am a firm believer in the ability of young people to give leadership as they are courageous, innovative and creative."